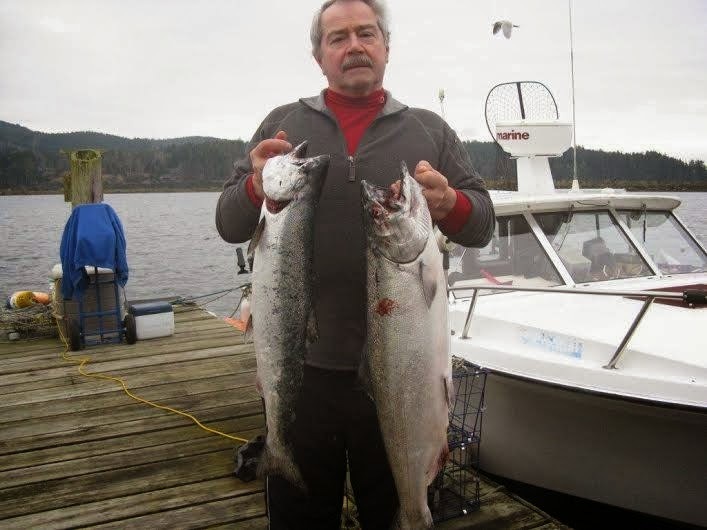 Local Sooke anglers have been having some luck with salmon fishing lately. Here's a picture of Mark with a 19lb and 12lb chinook salmon. Caught on anchovy. Nice fish! That should increase some interest in getting out there and chase a fish, especially when the sun is out and there is no wind.